Computer Science Education Week was launched in 2009 to raise awareness of the importance of computer coding in all careers and to invite people to learn how to code. Students from kindergarten to grade 12 are especially encouraged to take an interest in computer science and learn coding skills and also to take part in Hour of Code programs at school and elsewhere. The holiday is celebrated in December to honor computing pioneer Admiral Grace Murray Hopper, who was born December 9, 1906 and went on to become a United States Navy rear admiral. Her work with machine-independent programming languages led to the development of COBOL, and she was instrumental in many other early computer-related advancements. To celebrate this week, check out the Computer Science Education Week website and Hour of Code and try coding for yourself! “Charlotte’s head was always in the cloud.” She knew everything about computers and was plugged in to the (virtual) realities of each day. One day her mother bought her a present. Charlotte wondered at what kind of electronic marvel might lie underneath the wrapping. When the robotic arm she’d build untied the bow and tore off the paper, Charlotte gazed at the cloth doll in the little stroller uncertainly. 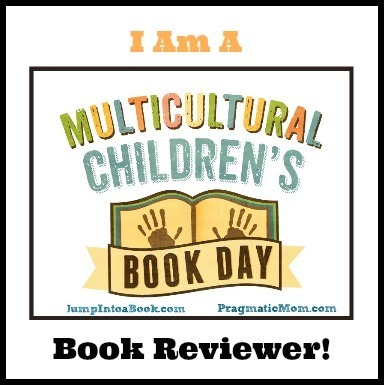 Copyright Shanda McCloskey, 2018, couirtesy of Little, Brown Books for Young Readers. Sure enough when she opened the back, she found two batteries. This was more like it! Since the doll’s only word seemed to be “Ma-ma,” Charlotte ran an update on it to increase its vocabulary. But before she could finish, her dog grabbed the doll by the leg and ran off with it. Before Charlotte could stop him, Blutooth had ripped the doll apart. Charlotte collected the doll’s arms, legs, and head, gathered some more supplies, and went to work in her lab. “With a few spare parts and a bit of code, Charlotte changed the doll.” It looked at Charlotte with its bright eyes and smile and said, “H-e-l-l-o m-y n-a-m-e i-s D-o-l-l-E 1.0.” “And the doll changed Charlotte too.” Charlotte loved Doll-E. She read to it, and played with it, and took it outside, where its fast stroller and new remote-controlled robotic arms were perfect for walking Blutooth. Shanda McCloskey wonderfully inventive doll story for a new generation will delight children and remind adults that while toys may change, the feelings associated with them never do. Sprinkled with puns and led off with a just-right first line, McCloskey’s smart story shines. Charlotte shows heart and intelligence as she embraces her new doll and makes it a reflection of her own life—just as children have always done with their toys. Charlotte, as a computer whiz, makes a captivating role model for kids, especially girls who code or would like to. There’s so much to admire in McKloskey’s illustrations, from Charlotte’s dedicated work space/lab outfitted with hand tools, spare parts, and craft supplies to her sweet determination to understand her new, simple doll. Clever details, such as a light bulb hanging over Charlotte’s head when she gets a brilliant idea and a Frankenstein-esque scene as Charlotte repairs her doll add depth and fun to the story’s theme. A spirited story, Doll-E 1.0 clicks all the buttons as a must for home and classroom bookshelves. Discover more about Shanda McCloskey, her books, and her art on her website. The Internet has added many new words to our language as well as redefining old ones. 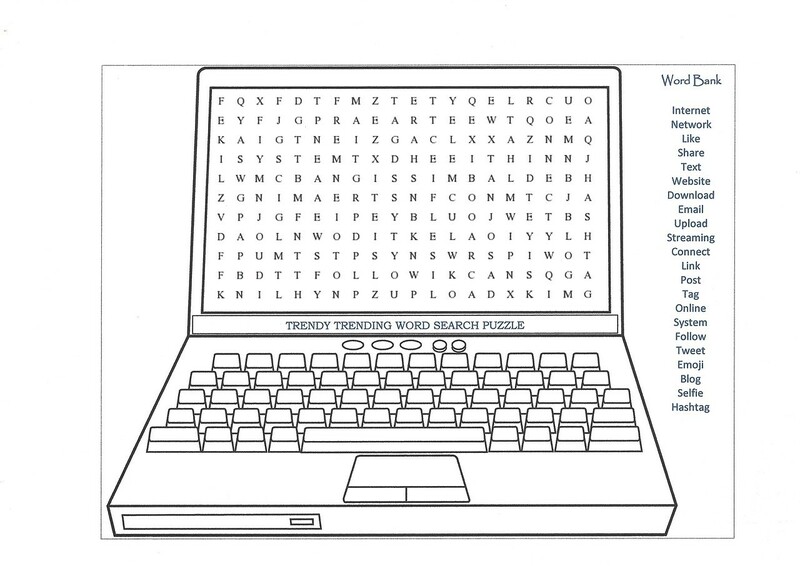 Search for twenty-two Internet-based words in this printable word search puzzle. 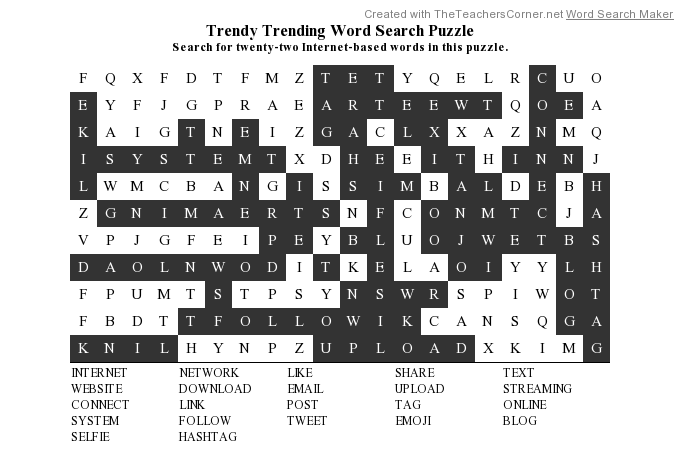 Trendy Trending Word Search Puzzle | Trendy Trending Word Search Solution!